A popular Westchester model in beautiful Monarch Country Club. 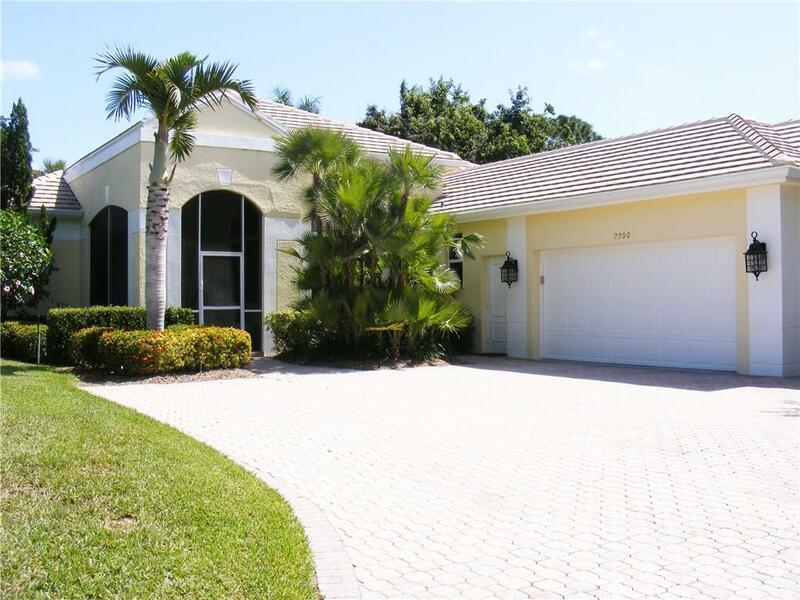 This lovely 2 bedroom plus den or possible 3 bedroom pool home has 2 1/2 baths and a 2 car garage plus a golf cart garage. This great room plan has 14 foot ceilings in the main living area. The home has a new roof which is only about one-year old. The lanai and pool area have a high degree of privacy. The guest bathroom also serves as a cabana bathroom for the pool and lanai. The master bathroom has a sky light which makes to room light and bright during the day. Golf, tennis and social memberships are available in Monarch but memberships are not required to live in Monarch. The homeowners association does require a one-time capital appreciation fees of two month's HOA fee which would be $914. The HOA fee does cover an extensive array of services including mowing, tree and shrub trimming, painting the home, cleaning the roof, 24 hour manned security gate, cable, Internet, etc. You can just lock your door an go.